This was the view from our balcony today. There must have been a boat race on Lake Zürich this afternoon as we could see tens of them sailing past. 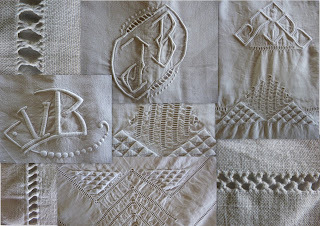 I wanted to share with you a little collage of some of the details on the bedsheets I brought back from France last month. 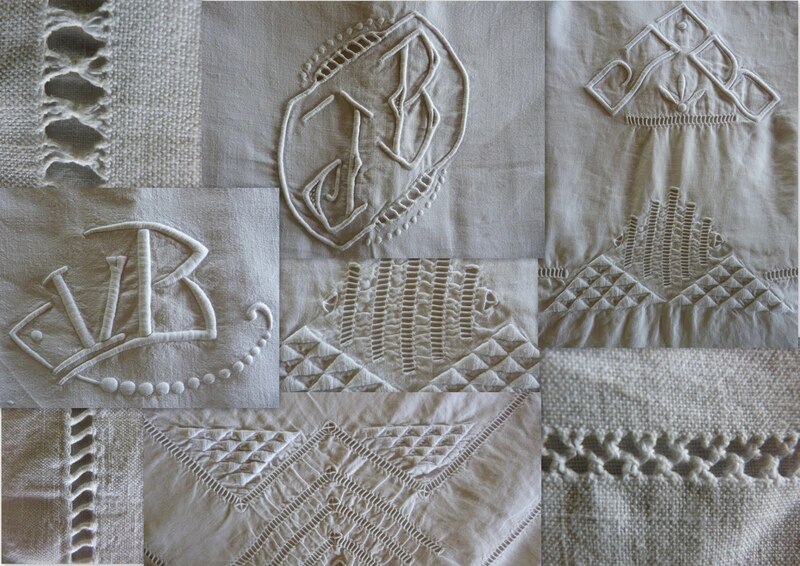 They are not ordinary bedsheets, they are the bedsheets my grandmother embroided and made for her dowry over 70 years ago. She must have spent many afternoons as a teenage girl with a needle and thread in her hand, embellishing bedsheets and towels. She "signed" all of her work with her initials JB, and then VB after she married my grand-father. The sheets are 100% linen and lovely to sleep in. The bedsheets were in my auntie's attic and as none of my sisters or cousins expressed an interest in them, I took 4 back with me to Zürich. They are so so pretty and such a lovely thing to have that your grandmother made! !